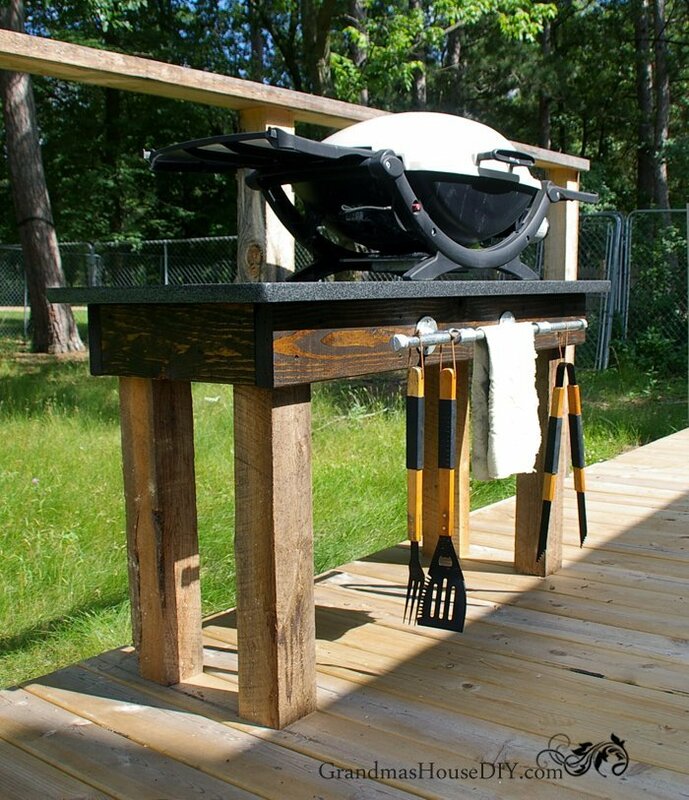 First thing is first, I just have to show you the amazing grill station I had for my grill BEFORE I built this new grill station. Feast your eyes on this awesomeness! I know stop drooling over my chippy old fabulous little kitchen table with the rotted feet that I pulled out of a shed. My brother had scored an enormous selection of granite remnants on K-bid for a song and he gave me one for a gift! Everyone encouraged me to consider picking from the selection for my kitchen counter tops but… no… I’m sorry…. granite in a 100 year old farm house?…. no… I just, COULD NOT DO IT. I… just… just… no… no granite in my 100 year old farm house kitchen just NO. 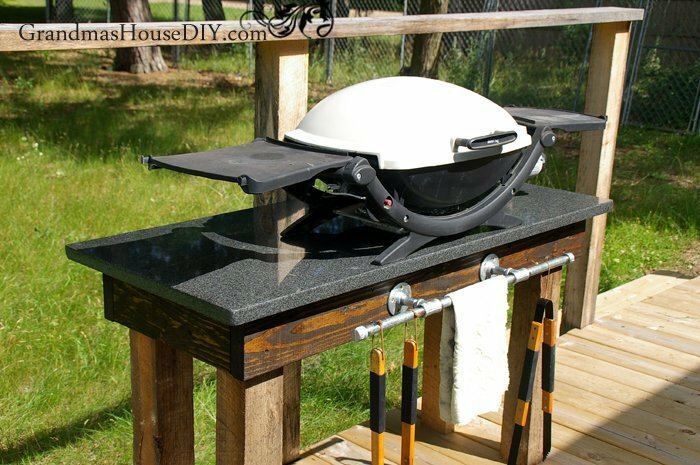 So then I got to considering where I would be able to handle granite in my house and immediately my mind turned to the outdoor grill station I needed SO badly. So, this weekend, I built it! I started in the usual way: by going out to the barn and grabbing some old barn wood. Those lovely 4x4s are rough cut and OLD, they also fit right in with the 4×4 posts on my deck railing (yay) I expect to stain them along with the deck this fall. The rest of the base I built out of 2x6s I had on hand and that was as simple as a basic frame and 3″ outdoor torque screws. I was going to cover the frame I build with plywood to offer even more support for the granite but it was obvious when I was done that it was plenty strong and flat enough! Granite is HEAVY and must be well supported or it WILL break. I built the whole thing so the granite hangs over the sides a couple of inches, then I stained the new 2x6s so they weren’t so glaring beside the old 4x4s. 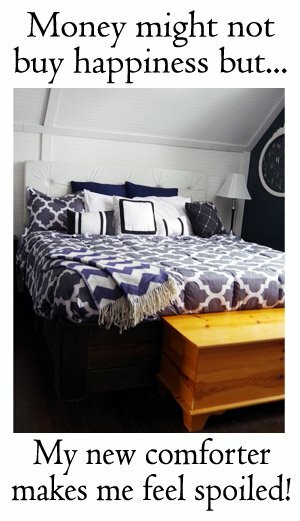 Love how the wood grain stands out! I used Dark Walnut stain by minwax. I also sealed the 2x6s with two coats of an outdoor poly but I’m not going to touch the 4×4 legs until I stain the deck – I’ll do them then. 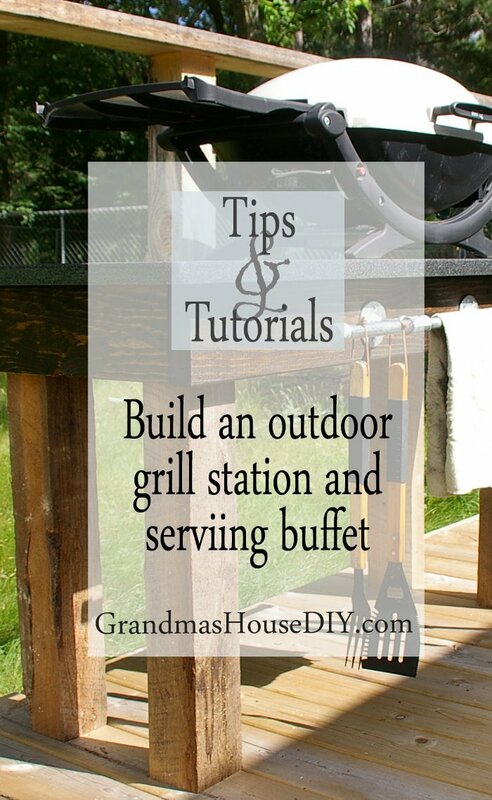 It may be awhile (probably when this little grill finally dies) but I will eventually purchase a larger grill and, when that day comes, this little grill station will become my outdoor buffet! It is positioned not five steps from my kitchen door (six steps from my refrigerator, seven steps from my stove and nine steps from my sink) which is exactly what I had envisioned and planned all along! 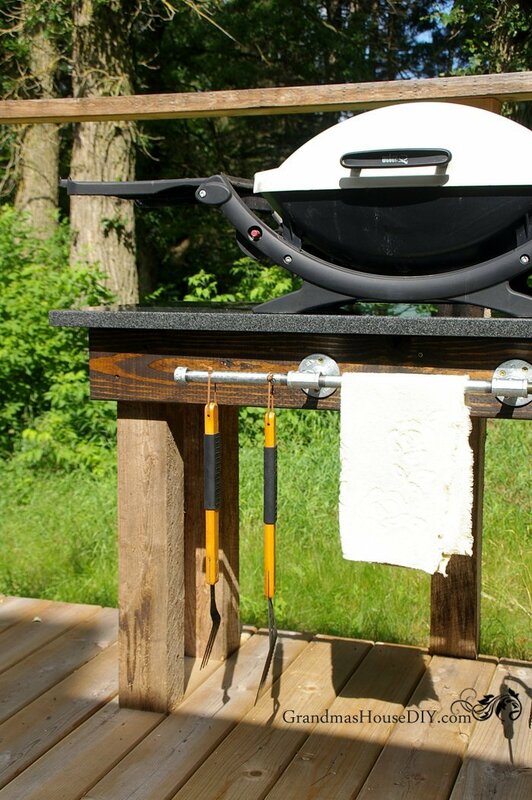 I grilled hot dogs last night and it was as though the deck had become an extension of my kitchen – it was SO cool! 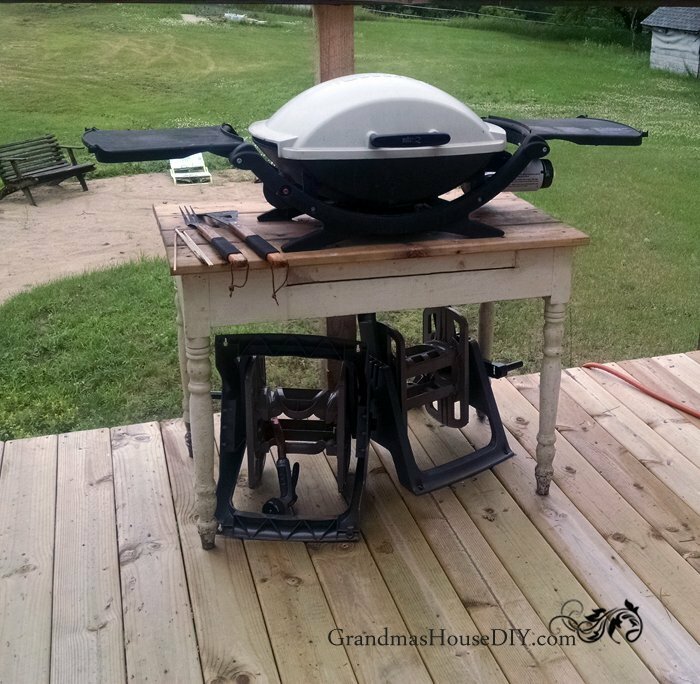 Also, when I finally get my table done for the deck this grill station will be right beside it so it will be handy whether its being used then as a buffet or if I still have this little grill on it. Like my galvanized pipe rack I built? I kinda love it 🙂 I think my favorite thing about it though is the fact that it only took me about five minutes to ensemble and install! Check it out by clicking here. As always guys thank you so much for coming by and checking out my projects! 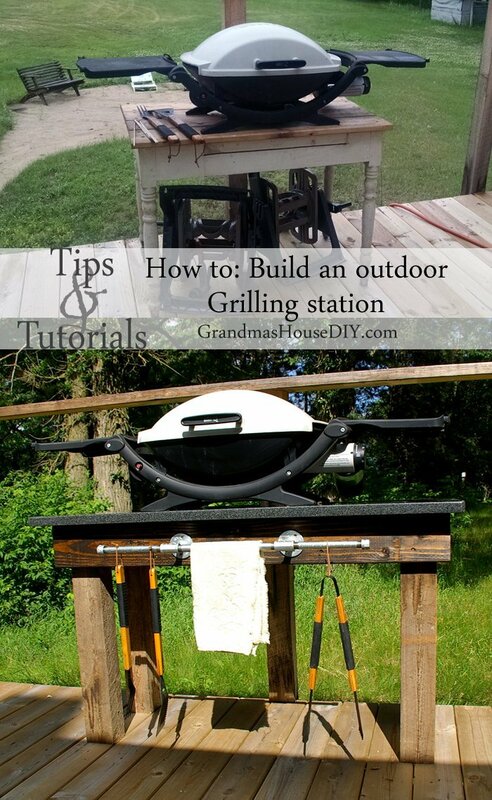 This is such a cool grill station, I love it! 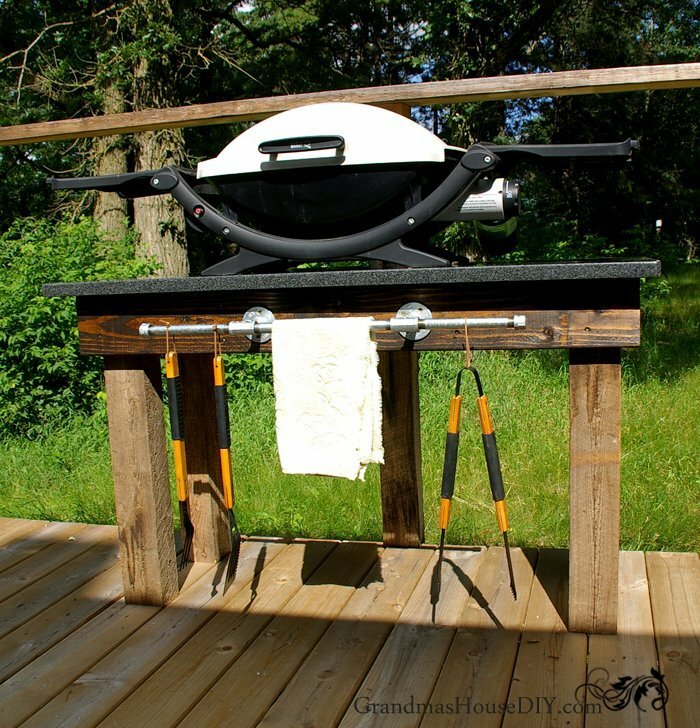 Our grill broke down a couple of months ago and now I’m thinking that this would be something we could try! Thanks for sharing at Sweet Inspiration this week! Thanks Katrin! Sorry to hear about your grill, this little one has been really good to us so far! That turned out really nice!! Thanks for sharing on the Pleasures of the NW’s DIY party! Happy Thanksgiving! Really great! You make some fabulous things! Thanks for sharing it with SYC. Thank you so much Jann! That is awesome! My husband would love something like that for our deck! 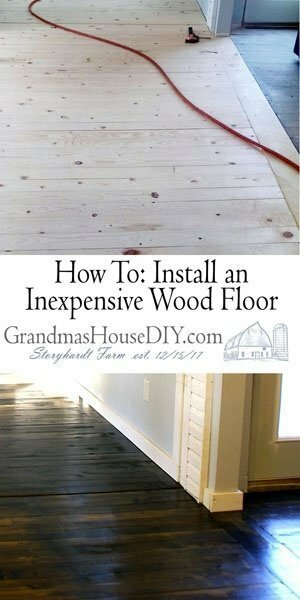 What a cool idea and it looks fabulous! Love it! Thank you for sharing on Merry Monday! Sharing on Twitter! Have a great week! Definitely a great use for the granite. Though part of me really does love that original table… Thanks for sharing at the #happynowlinkup! Hey Leslie, don’t worry that little old table is safe and sound 🙂 I brought it in and saved it in my office! Thanks for coming by! Ha! How cool! I love this! Thanks Julie, I can’t wait for summer to finally get back here and we can start grilling again!! Well done! You did a great job on this project. I know you were thrilled to get that piece of granite, and you put it to great use. 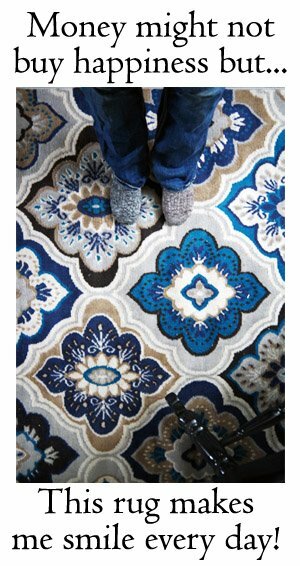 It looks great, thank you for sharing the how-to at The Really Crafty Link Party. Pinned.